During the 1940's and '50's, Brooklyn was one of the Jewish capitals of the world. Gerald Eskanazi, a former N.Y. Times sportswriter wrote in The Forward in 2011: "Sixty summers ago, almost to the day, the Dodgers of my Brooklyn were baseball’s greatest team. . . . And they were the most Jewish, even when they weren’t. In my mind, the Brooklyn Dodgers paralleled the Jewish experience in America: Humble beginnings. Years of struggle. Being made fun of. And then, in the 1940s and early ’50s, attaining the mainstream. No longer an object of derision, but of respect." After challenging the Yankees in the 1955 and '56 World Series' (victorious over them in '55) the Dodgers left Brooklyn for Los Angeles after the 1957 season. 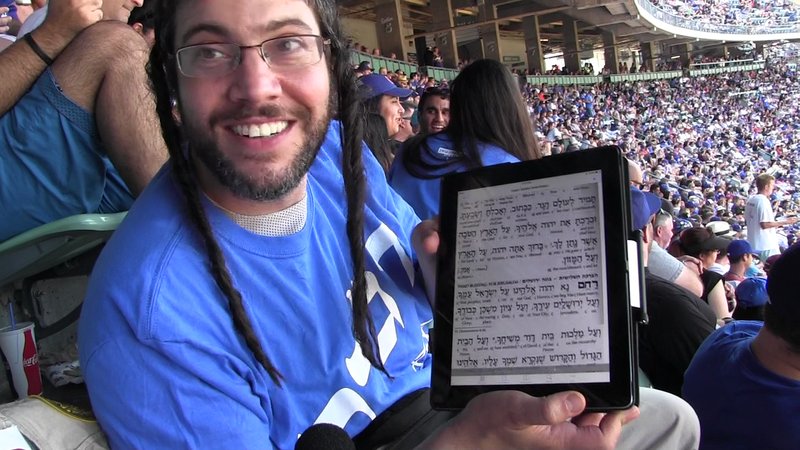 "Yes, goes the saying, “It’s hard to be a Jew.” But, ah, to be Jewish and a Dodger fan — that is exquisite in its complexity." The legendary boys of summer became the ghosts of Flatbush. Dodgers Sandy Koufax in the '60's and Shawn Green in the 2000's became the pride of Jews from L.A. to New York City. 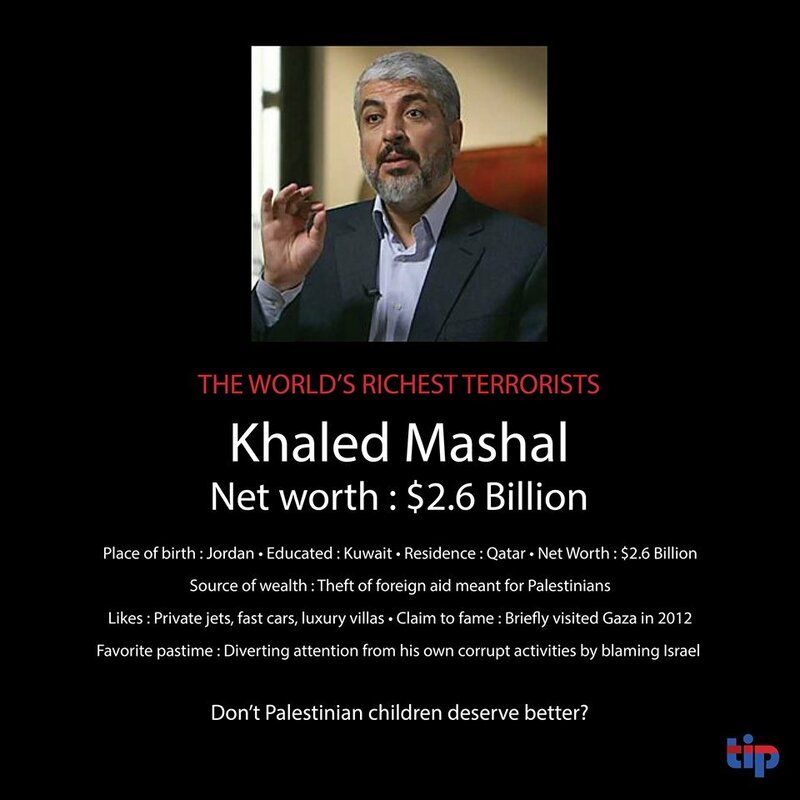 (Both even declined to play post-season games which fell on Yom Kippur). 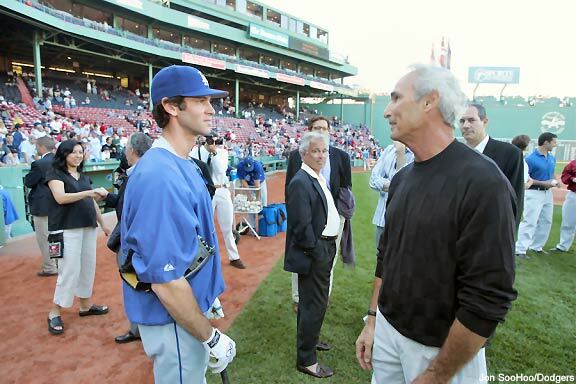 But after Green left for Arizona in 2004, Jewish fans had little visible representation on the Dodgers. 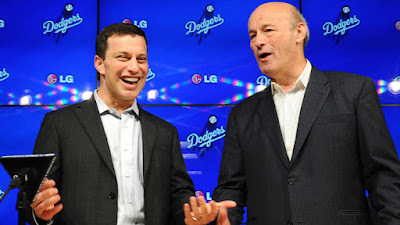 Not until new Dodger owners, Guggenheim Partners introduced Stan Kasten (and Andrew Friedman in 2014) to the front-office a few years ago, Jewish interest was revived. These star-player salaried ($ millions per year) helped manage the Dodgers into the post-season in 3 of the past 4 years. And this year, they're on pace to tie the M.L.B. record for wins in a season. And they just acquired Curtis Granderson from the Mets. 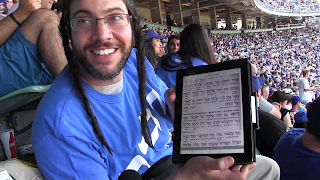 So while the live klezmer music playing before Dodger Stadium's Jewish Community Day last weekend may have felt haimish for their fans receiving Hebrew Dodger caps, for some of the front-office management- it seemed to feel like their simcha (celebration). 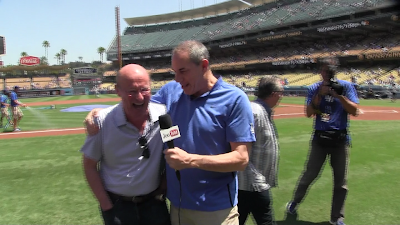 Before the game, we spoke with Dodgers' Chief Marketing Officer, Lon Rosen, who jokingly tried to interview Stan Kasten on JooTube. Pop-singer Elliott Yamin, whose father comes from Israel, sang the national anthem for the third time this season. Klezmer musicians are clarinetist Leo Chelyapov, percussionist, Todd Tatum, and fiddler on the field, Mivan Miller. 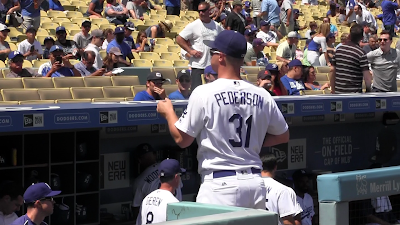 The Dodgers' publicity department provided us with a pre-taped interview of the Dodgers sole Jewish player, power-hitting outfielder Joc Pederson (born of a Jewish mother). 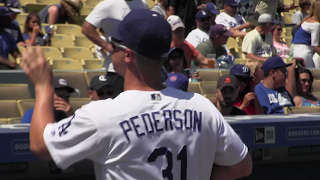 Pederson speaks with pride about his playing on Team Israel in the World Baseball Classic in 2012 and his familial affinity for Israel, a destination he intends to visit as his brother did. The Jewish Community Day was also special in that group sales had brought so many Jewish fans to the stadium, that Jeff's Gourmet Kosher Sausages (in its second full season at the ball park) was expanded from its regular stand on Field-Level behind the right field scoreboard- to a second location- in the upper Reserve Section for just that day. The ordinarily camera-shy Jeff Rohatiner spoke about his preference in mustards- and his hope, expressed by many fans, that the stadium establish at least one permanent kosher frank location for fans on a level above Field Level, closer to home plate. Chief Marketing Officer, Lon Rosen tells us that Yeshiva High-School graduate Stan Kasten was instrumental in getting the longtime hold-out Dodgers to satisfy kosher fans' requests to add glatt kosher franks at the stadium. 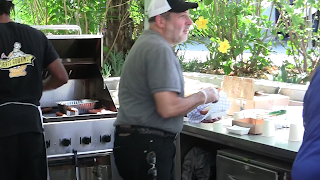 We're wondering what's taking so long for the Dodgers to make hot-dog sauerkraut available at additional vendors around the stadium (as New York stadiums do) considering the fact, as interviewee David Geller reminds us, that Jeff's is closed for Shabbat Fridays and Saturdays, as well as on Jewish holidays- which come up this year during the regular season. 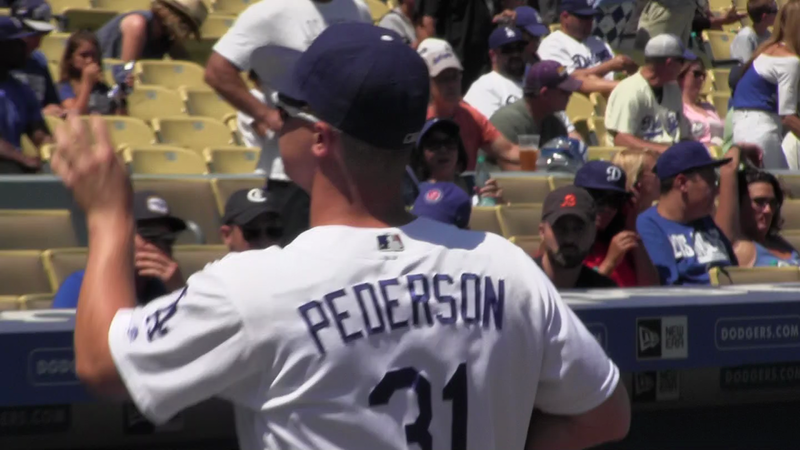 Let's hope that the acquisition of Granderson will make it easier should the non-observant Joc Pederson ask for days to not play on Rosh Hashana and Yom Kippur, should he desire to do so. How well does Americas 2nd most populous Jewish city reciprocate the love from their Jewish fans? Dodger Stadium held its first, full-season offering kosher diners hot frankfurters at home ballgames in 2016. 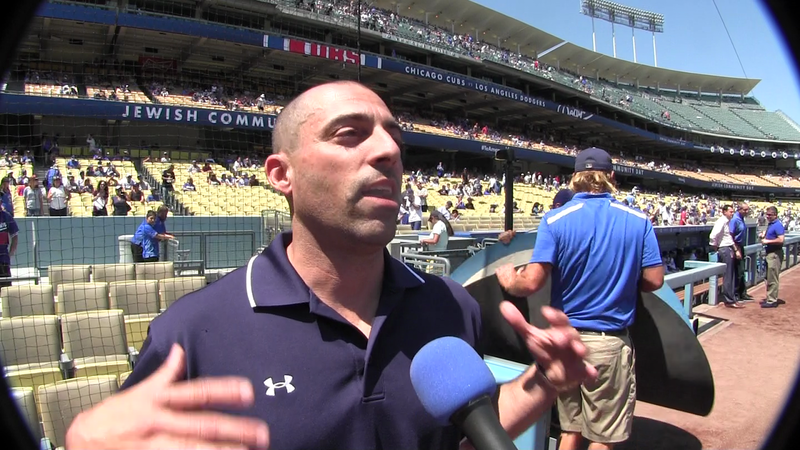 Jewish Community Day is part of the Dodgers marketing to regional ethnic groups. L.A. Dodgers V.P. of Ticket Sales, David Siegel discussed their annual Jewish Community Day with JooTube in the accompanying videos. The Los Angeles Dodgers recognize their Jewish-American fans in their ethnic community marketing. 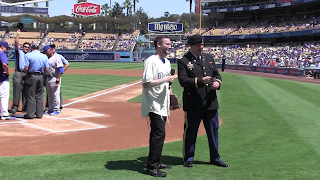 Two chaplains, Rabbi Jason Weiner and Lt. David Becker, participating in the pre-game activities, discuss the Jewish community's connection to the Dodgers. 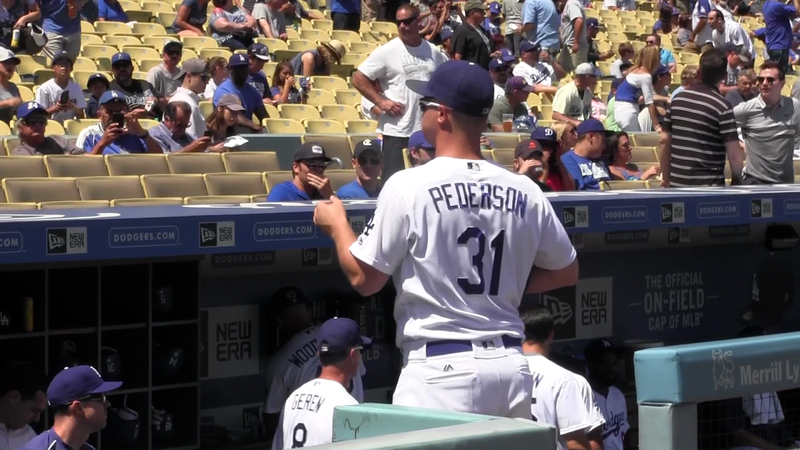 Currently, centerfielder, Joc Pederson, is the only Jewish player on the Dodgers, but Jews serve in notable front-office roles, such as Andrew Friedman, Pres of Baseball Operations, and Stan Kasten, Pres & CEO. More in-depth interview with Dodgers' V.P. 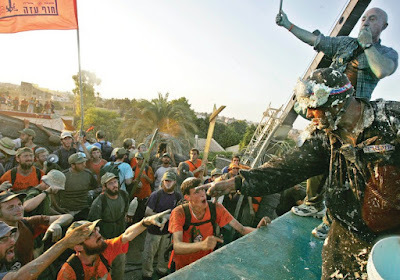 of Ticket Sales, David Siegel, along with some shenanigans from fellow Jewish-Angeleno, E.V.P. 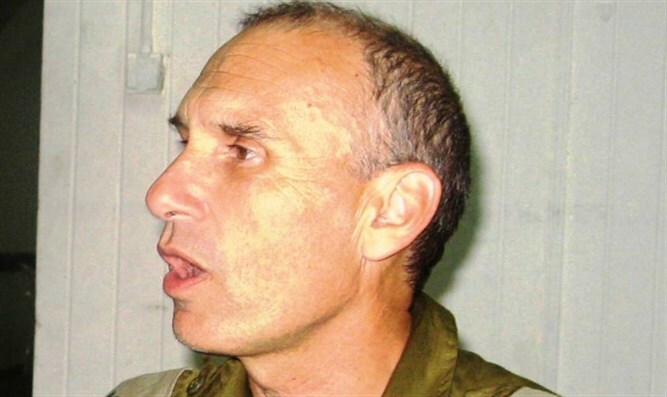 & Chief Marketing Officer, Lon Rosen. The 2017 Jewish Community Day will be held Sunday, August 13th vs the San Diego Padres. Tickets include a Dodger cap in Hebrew. 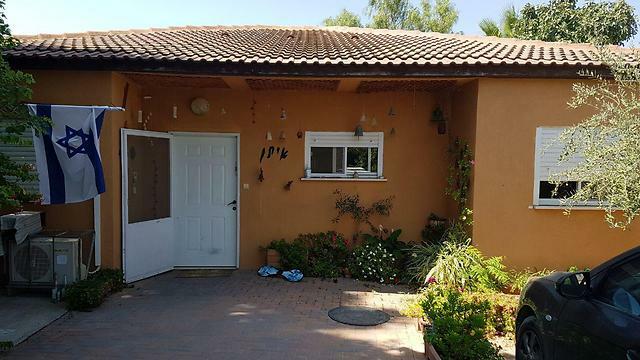 says Tanaz Golshan of Iranian-Jewish, "30-Years After"
Temples and cultural groups often buy tickets in blocks- which brings people (such as single females) who might not ordinarily come to a game on their own during the season. Iranian-Jewish group, 30-Years After is one such group, its members David Gobahar and Tanaz Golshan explained. In an interview with JooTube in a prior season, the famous L.A. sports radio host, Vic "the Brick" Jacobs discussed the Jewish angles of his relationships with various Dodger players'- primarily centering around their dining idiosyncracies. (Ironically, Vic was diagnosed with stage three colorectal cancer in March 2017 and we wish him a complete recovery of body and spirit). Jeff's Gourmet Kosher Sausages can be found in the Right Field Pavilion and on Jewish Community Day, also on the Left-Field Reserve, Level 31 above 3rd Base. (Thanks to http://Cedar-Audio.com of Cambridge, England for their assistance in reducing the stadium noise in some of the interview footage above).